Slate tiles are more than a work of masterful design. While they look great, they also last a long time. You can install these tiles on your roof, but you might also select slate for your kitchen floor, outdoor patio, bathroom, and more. Durable, beautiful, and versatile, those are three words use to describe slate. 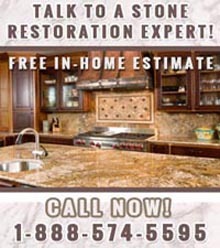 At Statewide Stone Care, we are proud to perform slate services in NYC on this fabulous stone. Our expert professionals are well-equipped to repair, restore, or clean slate, returning it to its natural luster. A durable and versatile stone, slate is a great looking and long lasting stone that provide years of satisfaction when maintained. Below are four reasons you may decide to install slate as the preferred walking material on your floor. Slate tiles are amazingly resistant to all natural wonders. On the roof, the tiles help to ward off any spreading fires. On the bathroom or kitchen floor, another of slate’s qualities comes into play: it’s resistance to water. Your driveway or patio might also do well to adapt a waterproof surface. No matter where you install the slate, know it will protect your home from elements. This comes into play more for the indoor installations. Whether it’s a kitchen mess from cooking or a bathroom mess from children, slate does wonders at reflecting stains from seeping into the tiles. A simple wipe down and the slate is good as new. This makes your life much easier, as cleanup times are cut down immeasurably. With our slate services in NYC, we can keep your slate looking great with professional cleaning and polishing methods that will make your tiles shine! Slate is the perfect flooring material if you have a very busy household. Ceramic tiles are prone to crack from heavy foot traffic, but slate is meant to last. This is especially important if you have children and want to minimize the need to replace your floors every few years. You don’t need to walk gingerly atop slate, it will withstand weight or force applied to it. When aged, slate can crack. Of course, if something very hard is dropped from a distance, you may need our slate services in NYC. Fortunately, our professional slate repair workers know the stone well and can promptly restore it for affordable prices. Slate tiles come in many colors, patterns, shapes, and sizes. This gives you a design feature for your floor that other options don’t possess. You can choose to match the slate to your home’s existing color scheme or contrast it for added elegance. Here, the power is in your hands. Or, under your feet. For more information about our slate services in NYC, call the slate professionals at Statewide Stone Care today at (888) 574-5595. Before calling, be sure to see what our past customers have said about us in our slate services reviews in NYC.